As the Pittsburgh region continues its ascent, regularly ranking as one of the nation s most livable cities, maintaining and improving the region will require attention to a key long-term asset: the environment. Across America and the globe, mobility between regions and nations has become commonplace, and people decide where they want to live and why. Along with jobs, family and a variety of amenities and attributes, environmental quality is emerging as a key factor in the calculus of which cities will attract the talented people whose energy and efforts will shape and build the future. While the Pittsburgh region's environment has improved dramatically since its "Smoky City" era, we still face significant challenges including improving air quality, repairing an aged water and sewer system, and ensuring that industry - including the Marcellus Shale - maintains a healthy balance with the region's environment. 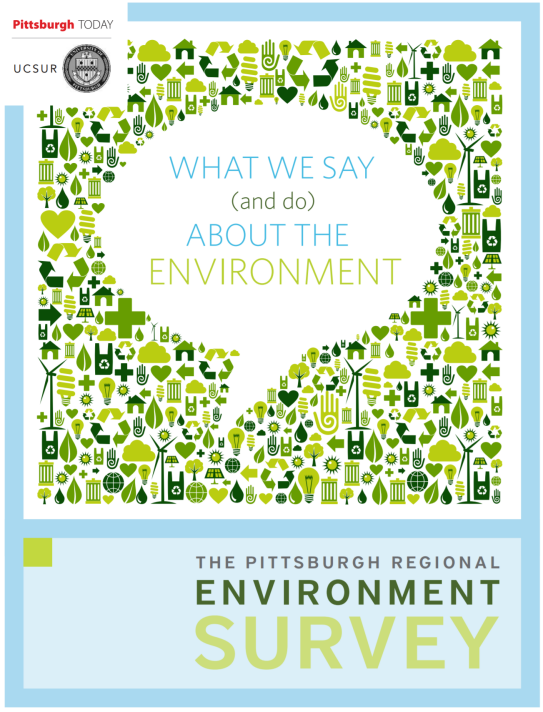 In order to better understand what's important to our region's residents about the environment - their behaviors and attitudes - we present the 2013 Pittsburgh Regional Environment Survey.